An expert on immigration points out that the walls and gates in heaven serve a purpose: to allow sovereignty to reign over lawlessness. The same principle, he argues, should govern America's immigration policy. Like President Donald Trump, many Americans have doubled down on the migrant caravan in support of a tough stance on immigration. William Gheen, president of Americans for Legal Immigration PAC, tells OneNewsNow that "the issue is the people who are here in the United States under our Constitution are supposed to be self-empowered and in control of our policies." For a myriad of reasons, many Americans want the number of immigrants entering the U.S. to be controlled. Gheen believes Americans endorse this reduction because "they are suffering from a host of different problems caused by immigration." Such problems, he admits, include "displacement in their communities, homes, and jobs, and many times, injuries, loss, and death." George Soros and others are responsible for what Gheen says is an "invasion." Their end goal, he contends, is "to overthrow our elections by having these illegal immigrants eventually join millions of Democrat voters" whose votes are steering the country toward destruction. 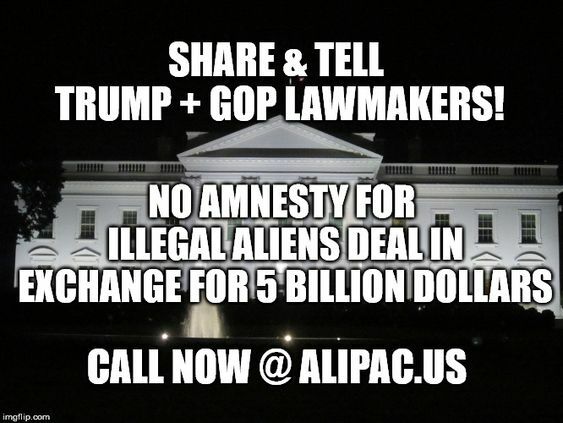 This movement is "clearly on the side of amnesty for illegal immigrants and the invasion of the United States." The ALIPAC spokesman compares the caravan invasion to the neutron bomb that was developed during the Cold War. "[It] would wipe out people, but would not destroy buildings, facilities, and land," he describes. In a similar vein, he suggests that the objective behind an immigrant invasion is "to displace and confuse the existing population of America in a way that other people can take over here through mass invasion and lawlessness." According to Gheen, the influence of Soros, et al. on the DC circle and media allow them to "hide the facts of the violence ensuing in our nation and push a type of narrative that is detrimental, very costly, and lethal to the American population." Conservatives, he adds, are "being overridden with a demographic weapon – [and] there's no place for an American to run." The immigration expert fears that the opportunity to elect another conservative to the White House could be slipping from the hands of the American people. He warns that if America continues to be flooded by immigrants, "they will become our new Democratic socialist voters added to U.S. elections" – and the result will be that "no one like Donald Trump, even with his faults, will ever be elected president again." Instead, Gheen says there will be an "unending wave of Barack Obama, Bernie Sanders, Hillary Clinton, and worse Leftists for the next 100-plus years in this country, because a new regime has taken control by leaving our borders wide open and doing things to intentionally attract, import, and relocate thousands upon thousands of anti-Westerner illegal immigrants into the country." While some in Christian circles defend immigration and open borders, Gheen points to the practical, fundamental nature of the Lord's Prayer. "We pray for the Lord's Kingdom to be 'on earth as it is in heaven.' [In other words,] we are to emulate or imitate God's will in a heavenly state as much as possible," he says. "We are all sinners on a very flawed planet [yet] we are to try to emulate here on earth as it is in heaven." "Heaven has walls, a gate, and a very strict immigration policy with extreme vetting. No one gets into Heaven unless their entire lives have been analyzed and they have been deemed worthy by the Lord in the Book of Life and enter. "For us to imitate earth as it is in Heaven, the United States needs walls and borders, and very strict immigration policies to protect our citizens, [like those] embedded there in the Lord's Prayer." Last edited by ALIPAC; 12-04-2018 at 02:49 PM. The bible also says that people must obey laws. Last edited by 6 Million Dollar Man; 12-27-2018 at 03:16 PM.